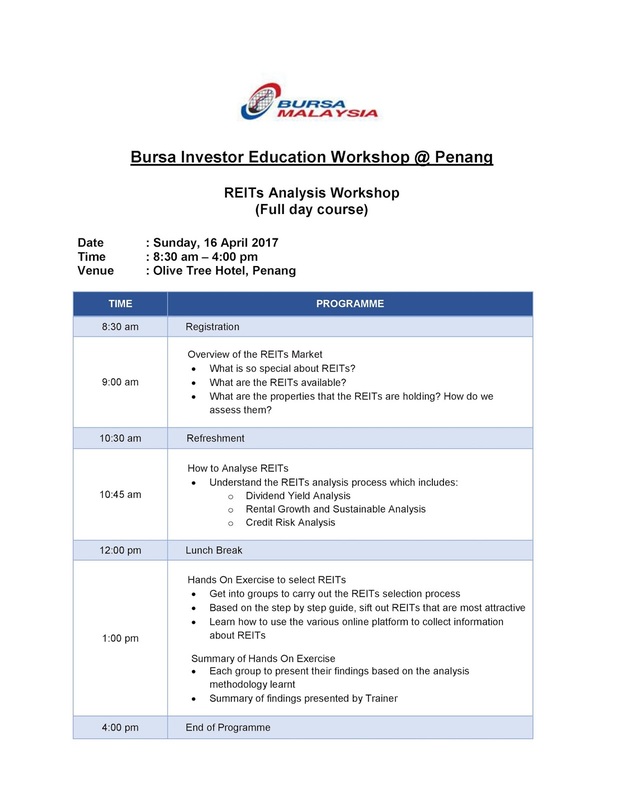 Bursa Investor Education Workshop (BIEW) series aim to impart capital market knowledge to the general public by providing structured syllabus on investment-related subject matters. 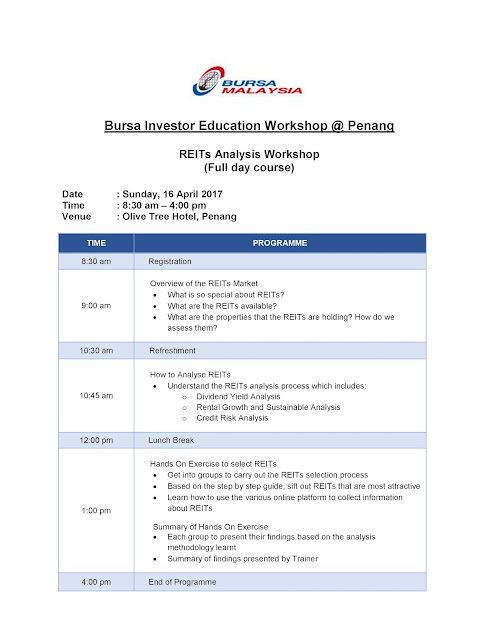 Topics will start off with basics and fundamentals - the why's, the what's and how's of investing and move on to a more advanced understanding of the various investment instruments and different methods of investing. Registration is FREE and on a first-come first-serve basis. Participants are encouraged to register early as seats are limited and registration will close once the targeted no. of participants are reached. All confirmed participants will receive an event confirmation email from BursaMKTPLC which serves as your registration pass. Kindly present an electronic or paper copy of the email on the day of the event. What is so special about REITs? What are the REITs available? What are the properties that the REITs are holding? How do we assess them?